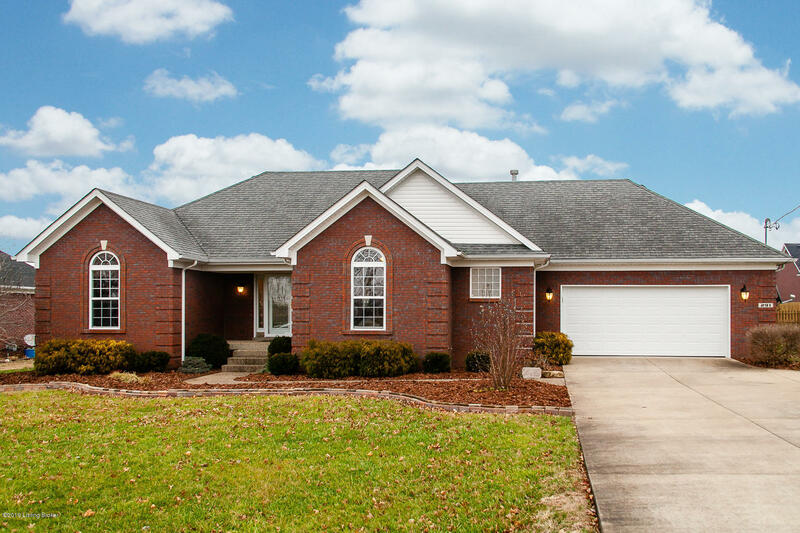 Welcome home to this turn key beautiful all brick home! The covered front porch leads you through a stunning entry to find a very inviting open and spacious Great room with hardwood floors, vaulted ceiling, large windows giving natural light, a very cozy corner gas fireplace, fabulous deck with a covered canopy (that remains) and is open to the kitchen and dining area. The abundance of counter space, storage and stainless appliances are sure to please the chef. The split floor plan adds privacy to the Master suite - complete with walk-in closet, double vanity, a separate shower, and a large tub. The other side of the home includes two more bedrooms and a full bath. Master Bath: Double Vanity Tub & Shower!